This easy-to-make warm sauce recipe creates a delicious shrimp scampi that takes mere minutes to prepare. Just heat the sauce ingredients, toss with shrimp, then serve the garlicky concoction over pasta or rice. This will make enough sauce for about 2 pounds of peeled and cooked shrimp. Serve this great-tasting shrimp scampi as a first course or appetizer with toothpicks. Melt the butter in a saucepan over medium heat. When the butter stops foaming add the garlic and continue cooking for 2 minutes. Stir in the parsley, lemon juice, dash of Tabasco sauce, and salt to taste. Heat through. Toss with hot cooked shrimp and serve immediately with hot cooked rice or angel hair pasta and a salad. Scampi is actually prawns or small lobsters. In American cuisine, scampi usually refers to shrimp cooked in a sauce of garlic, lemon, and butter as in this recipe. There also are versions for baked shrimp scampi and a similar garlic shrimp that is cooked in a slow cooker, plus a gluten-free scampi with zoodles. 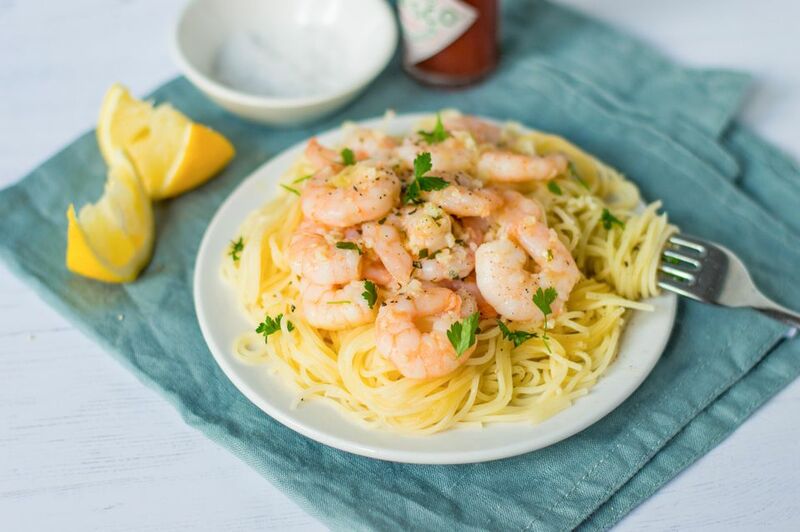 This creamy shrimp scampi version is low-carb but definitely not low-fat. If you can't live without a barbecue in your life, this grilled shrimp scampi might be your thing. If you want to combine two proteins in one dish, try this shrimp and chicken scampi, but if you want to skip the shrimp entirely, try chicken scampi. For something completely different, shrimp scampi paella fills the bill perfectly.